The Harold Abel Distinguished Faculty Award is named for the late Dr. Harold Abel, who along with Steve Shank co-founded Capella University and served as its first president, as well as chancellor and chair of the University's board of directors. Dr. Abel had a 44-year career as an educator and helped Capella acquire accreditation and pioneered our innovative approach to online learning. These awards have been given each year since 1999. Have made outstanding contributions to the University. Engage in faculty activities that reflect and support the University mission and vision. Demonstrate exemplary performance as a course instructor, mentor, or leader, in either online or face-to-face activities, over a sustained period of time. Inspire learners and peers through example. Read the news release announcing the 2010 Harold Abel Distinguished Faculty Award winners. Dr. Chappell was selected for her work launching Capella's new BS in Psychology degree program, including supervising the course development and serving as acting faculty chair for the program. She was selected as the recipient from the Harold Abel School of Psychology, now the Department of Psychology of the Harold Abel School of Social and Behavioral Sciences. 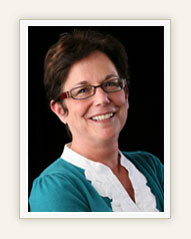 Chappell, a core faculty member with the school, is a research psychologist with a specialization in Social Psychology. She has been a faculty member at Capella since 2001, where she has been involved in program development, course development, teaching research methods courses, mentoring, and committee service. Prior to her work at Capella, Chappell was a tenure track faculty member at Columbia College of South Carolina. She holds a Doctor of Philosophy, a Master of Arts, and a Bachelor of Arts in Psychology from the University of South Carolina. Dr. Doran, core faculty in Capella's School of Education, was honored for her performance as interim content lead for Postsecondary and Adult Education, her excellence in the courseroom, and her additional contributions to the school, such as chairing the faculty review panel. 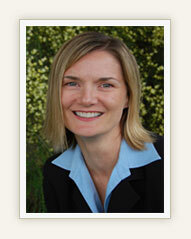 She began working for Capella in 1998 as the first full-time faculty member who worked from a distance. She also participated in the development of several courses for Capella, including what is currently known as first course. Doran later became a faculty chair before returning to core faculty status, first as part of Professional Studies and then Postsecondary and Adult Education. 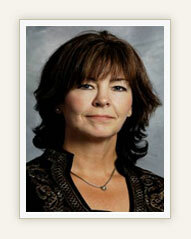 She earned both her Master of Science and her Doctor of Philosophy in Education from Capella University. She holds a Bachelor of Arts in Psychology from California State University-Sonoma, a Bachelor of Business Administration in Accounting from Boise State University, and teaching credentials in K-12 and special education. Dr. Noah received the award from Capella's School of Public Service Leadership for leading the development and oversight of the school's important first course, along with his exemplary performance as a mentor to both new and long-time students. 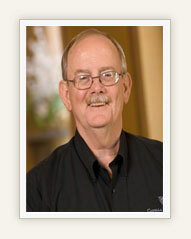 He was also part of the Capella course development team that received a 2009 Blackboard Exemplary Course Award. Noah has been a member of Capella's core faculty since 2004, until recently as part of the School of Human Services. He is a licensed professional counselor in the State of Oklahoma, where he maintains a counseling practice, and is also an approved clinical supervisor and nationally certified as a counselor and career counselor. Noah earned his Bachelor of Science in Liberal Arts from the University of the State of New York (now Excelsior College); his Master of Science in Counseling from Eastern Washington University; and his Doctor of Philosophy in Human Services from Walden University. A core faculty member for Capella's School of Undergraduate Studies, Dr. Stavredes was selected for her accomplished teaching, as well as her innovative instructional strategies, which have often been adopted as standard procedure throughout the school and university. 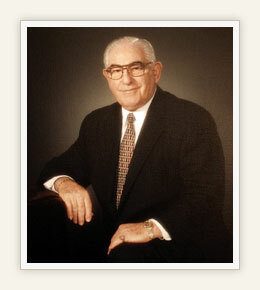 Stavredes has been with Capella University since 2002, working in a variety of capacities. She previously served as Capella's director of curriculum development and was responsible for creating the Office of Curriculum Development. 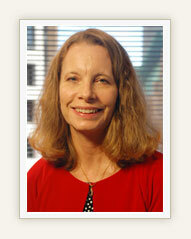 In addition, she has held the positions of program chair and faculty director in Capella's School of Education. Prior to joining Capella, Stavredes worked as manager of academic technology support for the University of Minnesota's College of Education & Human Development from 1999 to 2002. Stavredes holds a Doctor of Philosophy in Educational Psychology with an instructional technology emphasis from the University of Minnesota. She also earned her Master of Education in Instructional Systems and Technology and her Bachelor of Science in Molecular Biology from the University of Minnesota. Dr. van Asselt was recognized for her outstanding work on Capella's counseling programs, including her role as a subject matter expert in the development of Capella's PhD in Counselor Education and Supervision. She was also lauded for her contributions to the field of counseling, including publication in two peer-reviewed journals, both as first author, and national and state presentations on leadership and advocacy. Van Asselt was selected as the recipient from the School of Human Services, now the Department of Counseling of the Harold Abel School of Social and Behavioral Sciences. She has been a faculty member in Counseling Studies and Counselor Education at Capella since 2006, becoming a core faculty member in 2008. She previously worked as a middle and elementary school counselor, and as a special education teacher. She earned a doctorate in Counselor Education and Supervision from the University of Northern Colorado in Greeley, a master's degree in School Counseling from Western Carolina University in Cullowhee, NC, and a bachelor's degree in Special Education from the University of New Mexico. Capella's School of Business and Technology selected Dr. Whitman for the motivational approach she brings to teaching and mentoring doctoral students, as well as her collaborative, innovative contributions to such tasks as the PhD colloquium revision and the scientific merit reviews of dissertation proposals. 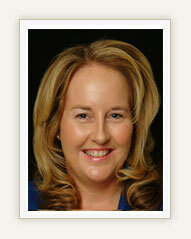 She has more than 20 years experience working in management positions for private, public, and nonprofit organizations. For the past 11 years, she has worked full-time in education, serving as program chair, program director, and associate deans for several graduate schools. Her teaching expertise is in the area of research methods and design, and statistics, subjects she currently teaches at Capella. Whitman earned a Doctor of Business Administration from the University of Sarasota, Florida, and master's and bachelor's degrees from the University of Minnesota. © 2010 Capella University. All rights reserved.